This tried and true extended itinerary of our 2017 Northern Thailand Adventure is sure to exceed all of your expectations, not just of Northern Thailand, but also of a yoga retreat! Journey through THREE exclusive destinations in ONE memorable holiday. October 27th through November 6th 2018. Join Nicole Burrill and Christophe Cappon of Thailand Yoga Holidays on a unique yoga holiday fusing local charm, culture, and food, plus invigorating yoga, into three different destinations within Northern Thailand. From the culture-rich town of Chiang Mai dotted with glittering Buddhist temples, to the jungle-covered mountain village of Pai and even a secluded floating retreat center hidden within a lush national park, you'll dive deep into each destination while furthering your yoga practice. 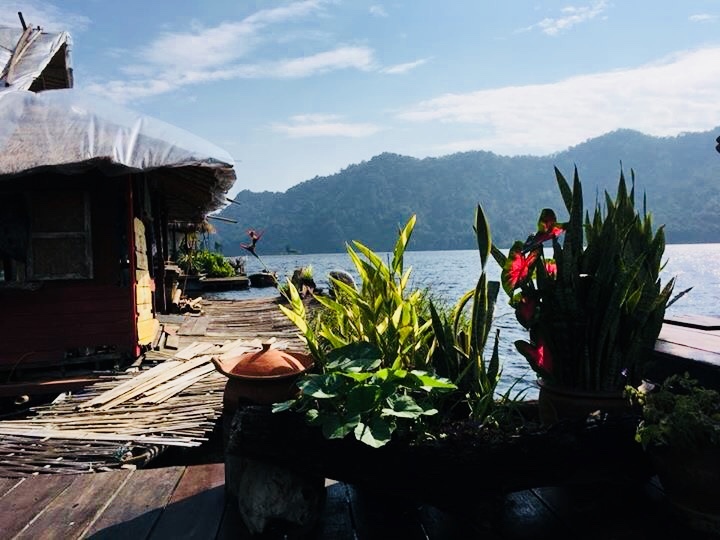 Throughout the holiday, enjoy dynamic daily yoga, reconnecting with nature, specialized massages, boutique accommodation, time for self reflection, invigorating nights out on the town (we want to show you all Thailand has to offer!) and more! Price is $3115 USD per person which includes 10 nights accommodation, domestic transportation, daily yoga, all your food (some beverages), surprises at every turn and magical memories. Flights on Cathay with great travel times are currently pricing at around $1100 USD for these dates. (You are responsible for your own flights). For this year's retreats small groups of us traveled together so we'll let you know when we're flying in and out if you'd like to come with. Payment plans are available - if you'd prefer not to pay in full at the time of registration, please select the $615 retreat deposit option and email Nicole at to confirm your payment schedule chakrapoweryoga@gmail.com. All retreats must be paid in full 90 days before the retreat begins. Deposits are not refundable. Register before March 1, 2018 and receive a free month of unlimited yoga at Chakra Power Yoga (good at both locations). Our retreats sell out! Don't miss out on this! Want more info? email me, call me 617-833-3273, or check out our new Retreats page on our website to view our photo gallery from this year's adventures! Join us for a Coastal Yoga Adventure Retreat to Southern Thailand & Cambodia! You asked for it over school vacation and you got it! Rooms are limited for this retreat to 4 shared twin (2 beds) and 5 shared (double/queen bed) - please book ASAP to get your spot! 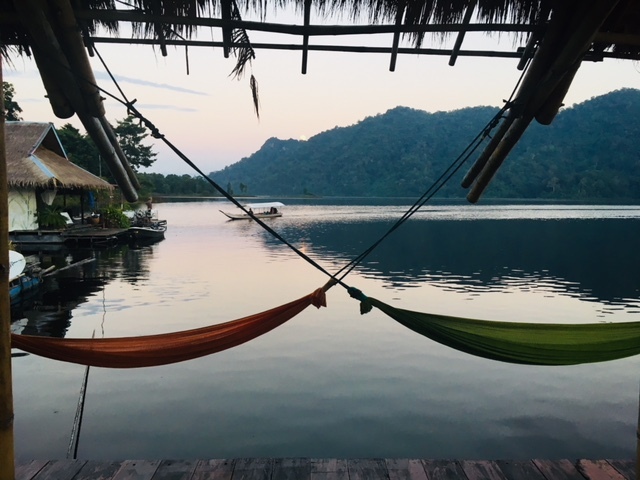 Led by Nicole Burrill from Chakra Power Yoga, this carefully curated yoga retreat allows participants to unwind in luxury surrounded by the beauty of Southeast Asia. 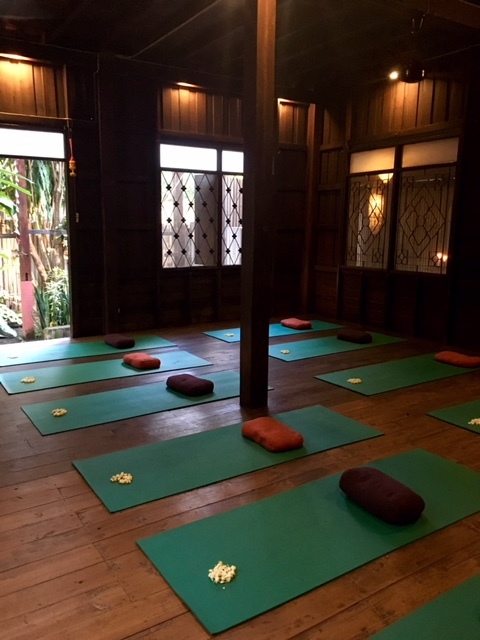 As Nicole's fourth retreat with Thailand Yoga Holidays, this unique yoga escape fuses local charm, culture, food and yoga for a one-of-a-kind experience. From a remote rainforest retreat in Cambodia to a picture-perfect paradise on a tropical Thai island, you'll experience the best of the region's natural beauty and local hospitality while enjoying plenty of relaxation, soul-gratifying yoga, good food and even better company. Single Accommodation is available with a $1,500 USD single supplement fee. *All costs are in U.S. dollars (USD). An $800 non-refundable deposit is required to secure your spot and all outstanding balances must be paid in full by October 17, 2018. Scheduled yoga sessions with Nicole. All accommodation. Scheduled retreat activities and excursions as specified in the itinerary. All scheduled group meals with non-alcoholic drinks. Transportation during the retreat. Airport transfers to/from Trat Airport on the first & last day of the retreat. Yoga mats/props to use throughout the retreat. Flights to/from your home country and Thailand. Travel insurance. Massages, spa visits and specialized treatments. Activities or excursion you choose at your leisure. Tips (at your discretion). All alcoholic drinks. Pay in full or place an $800 deposit. Room type cannot be guaranteed until full payment is received!